Download the Relive app from the iTunes app store on you iPhone if you haven't already. 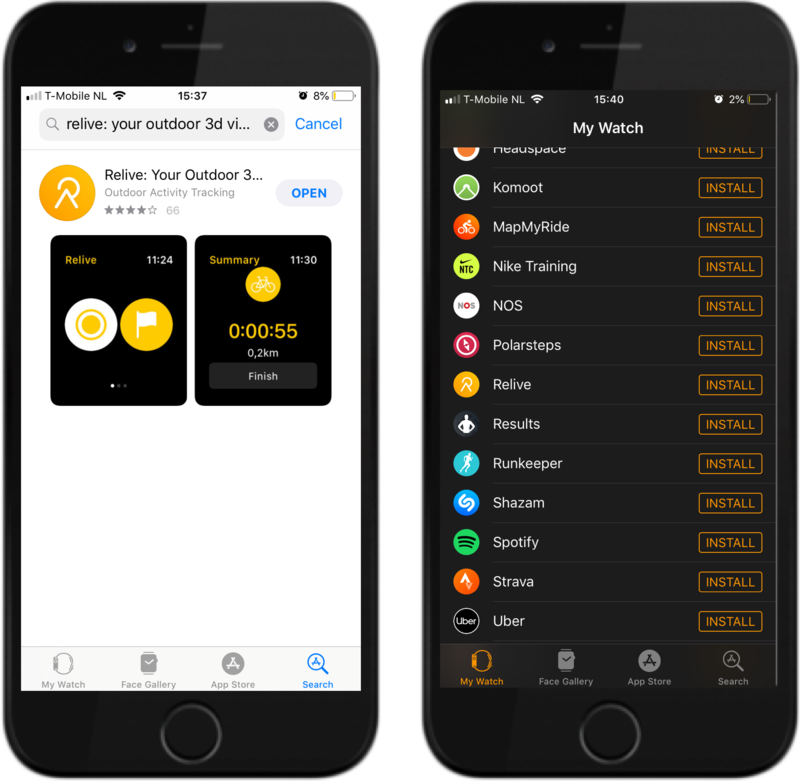 Search for Relive in your watch app. 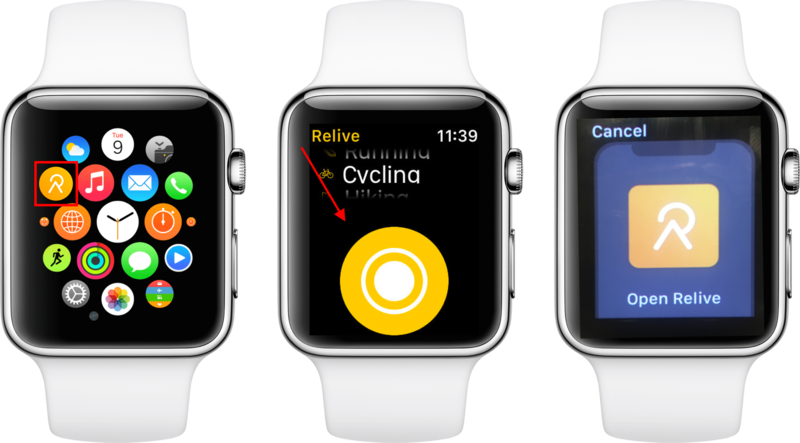 You will be prompted on your phone to authorize Relive for Apple Watch. Tap finish. 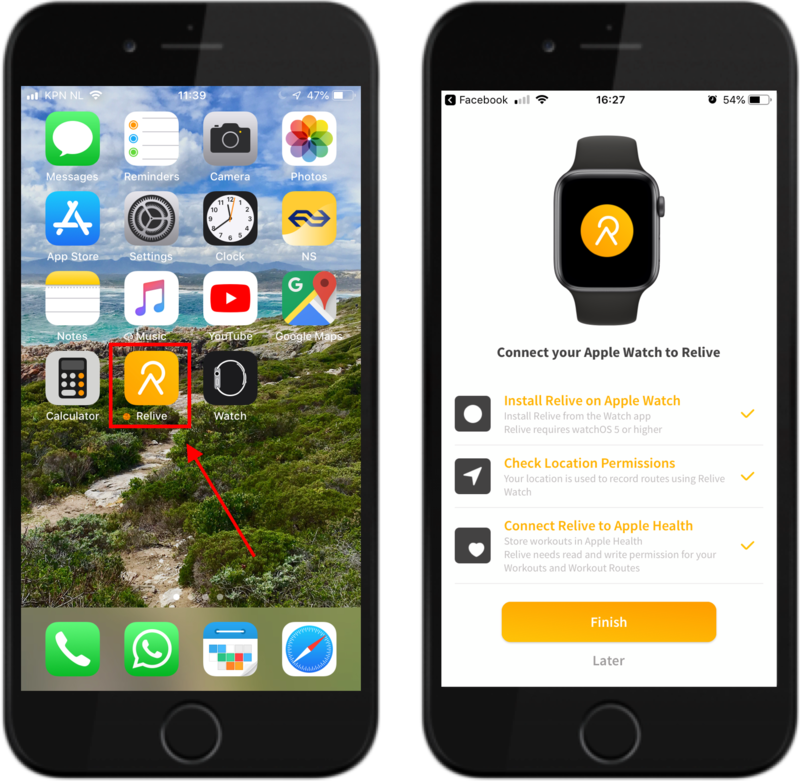 You can now use the Relive Apple Watch app without bringing you phone. Have fun during your next activity!